Welcome to Fox Jewelry, your online source for quality jewelry since 2001! 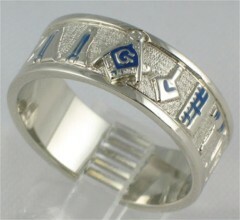 Fox Jewelry is committed to providing you with the finest quality jewelry at the most competitive prices in the market. 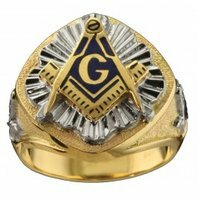 Our products are manufactured by some of the best in the trade, with over 150 years of experience in hand-making fraternal rings for members of the military and masonic community. Enamel is baked on for a much more durable and long-lasting finish. 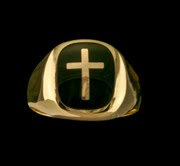 Each piece is cast individually rather than mass-produced, which gives yours a one-of-a-kind look. When ordering, please double-check the sizes. In many cases, items are enlarged to show greater detail. That's why we show measurements in millimeters and grams when possible, and all measurements shown are approximate. For reference, 25mm is approximately 1 inch. Therefore; 12.5mm equals about 1/2 inch, and so on. All items are subject to availability and prior sales, and many are made to order or size. 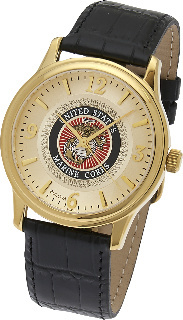 Allow 3-4 weeks for delivery of custom-made military rings; most others take about a week. Your card won’t be charged when your order is placed. For protection, we only deliver our merchandise to the address shown as the "bill to" on your credit card. Your signature is required upon receipt. Please review your order before submitting and know that we reserve the right to correct mistakes. In some cases, we require a cashier's check or money order. International shipments need a wire transfer before shipment. Coupons are not redeemable toward specials. We have access to many other items; please let us know what may be of interest to you. Our staff can give you a quote on any merchandise, and it’s good for 7 days. Fox Jewelry is licensed with 13+ years in business. We’re here to help you enjoy your shopping experience. This site contains links to other Internet sites. These are not endorsements of any products or services in such sites, and no information in such sites has been endorsed or approved by Fox Jewelry. The guarantee protects you against unauthorized charges. If your credit card company holds you liable for unauthorized charges to your account from Fox Jewelry, your liability is covered up to $50. By federal law, your credit card protects you from unauthorized purchases over $50. Should there ever be an unauthorized use of your credit card, notify your provider in accordance with its reporting rules and procedures. Credit card transactions are secure. Orders can be faxed at 800-553-4921. You may also call us to place your order at 712-251-8053. When you place it here, Fox Jewelry protects your credit card number and personal information via encryption. Encryption scrambles them while they travel over the internet and are stored on our machines. We use secure server software (SSL), the industry standard and among the best available today for secure commerce transactions. Contact us with any questions about our process. We have professionals ready to help at any time. We are happy to supply you with a quote on any of our merchandise but quotes are only good for 7 days.